When people go those extra miles to visit us, they'll find that we at Wiens are eager to go the extra mile for them. A 20-minute drive south of Winnipeg through open prairie brings one to the thriving town of Niverville, and home of Wiens Furniture. Wiens Furniture is a family owned and operated business. Our store showcases a 20,000 square foot appliance, furniture, and mattress showroom. On June 20, 2017 we unveiled our new and innovative 5,000 square foot Appliance addition. This contemporary showroom is spacious, welcoming and inspiring. It features polished concrete floors, an industrial open and wood-beam ceiling, wonderful lighting and stunning displays. 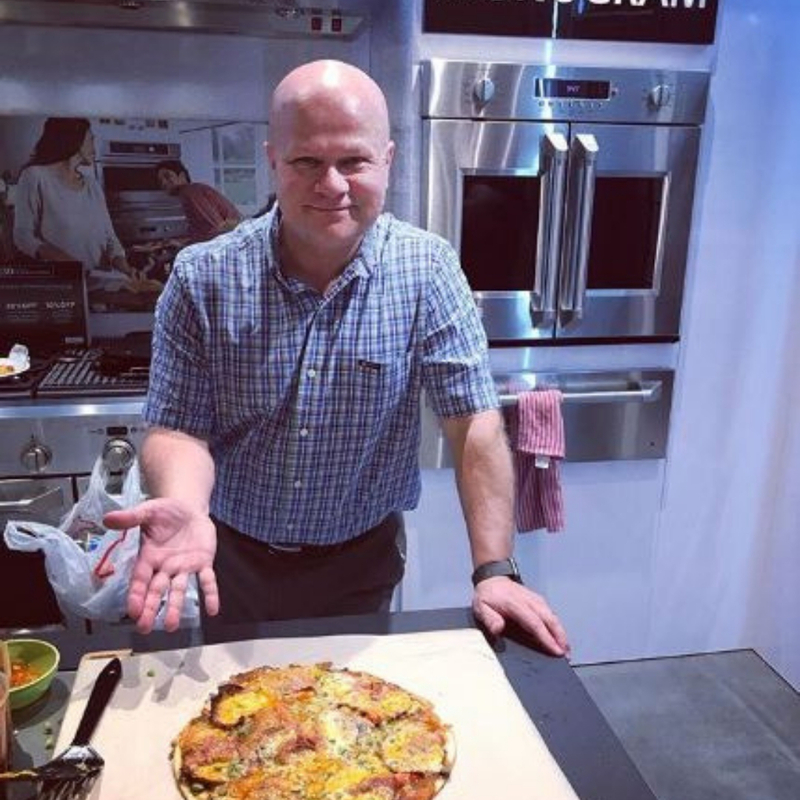 This has allowed us to expand on our everyday appliance offering to include a wider selection of high end brands like Subzero, Wolf, Thermador, and Jenn-Air and also more unique brands like Monogram, La Cornue, and Fisher & Paykel. Several of our appliances in our new showroom are in some way powered up, and many of those are displayed in fully functional kitchens. This means our clients can visualize not just how they would look in the home but also experience how they would function. In the coming year we are looking forward to updating the rest of the store to have the contemporary feeling throughout. Our commitment to excellent customer service, and an eye towards current trends, contributes to the continued growth of the business. Our team is dedicated to exceeding our customers’ expectations. While we're excited that through our regular advertising so many come out to see us, we also gratefully acknowledge that our very best and most vital advertising comes by 'word-of-mouth' referrals from you, our satisfied customers. We're thankful for your support and the support of our community. We value the great relationships built over the years with many of you and look forward to meeting the future furniture and appliance needs of your families. If you would like a virtual tour of our store please see video below. At Wiens Furniture, we pride ourselves in having knowledgeable Sales Associates that are always here to answer any questions you may have. All of our Sales Associates carry years of sales experience, have in-depth product training, and have a focus on the customer experience. Doug has been working at Wiens Furniture as a Sales Associate for four years; however, he had 30 years of appliance sales experience already behind him when he started! Doug is a wealth of knowledge in our appliance department, with a particular specialty in our high-end brands. 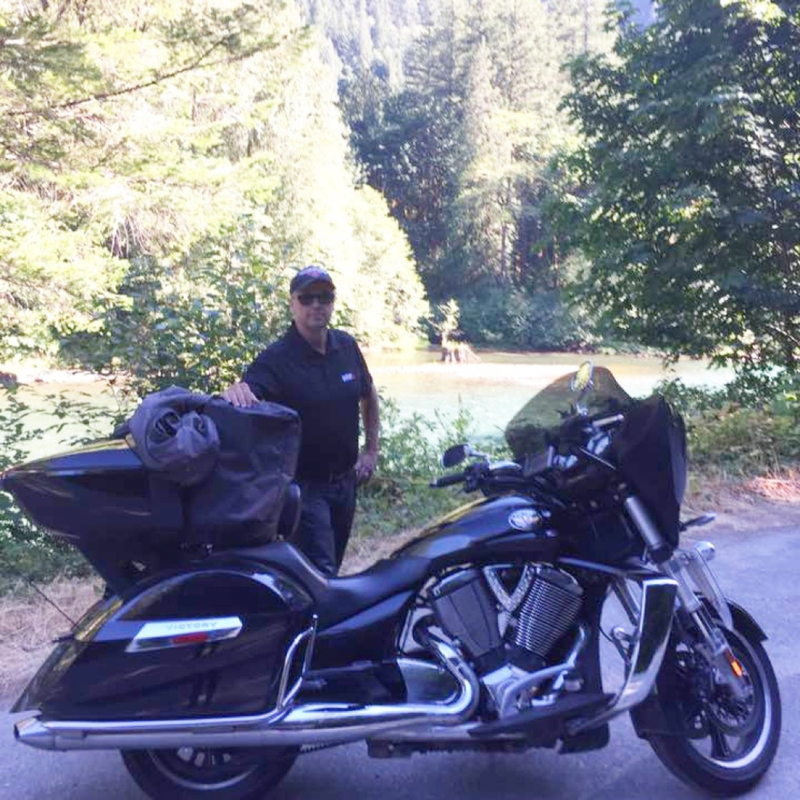 When Doug isn’t selling, he enjoys long tours on his motorcycle, being with family, or a good game with a nice glass of red wine. Cam has been working at Wiens Furniture as a Sales Associate for 12 years. Those years of experience have made him an expert in all things furniture and appliances. When Cam isn't at work he's either doing projects around his home, travelling around, or relaxing at the cabin. No matter where he is though, you're bound to find him with his wife and three adorable children. 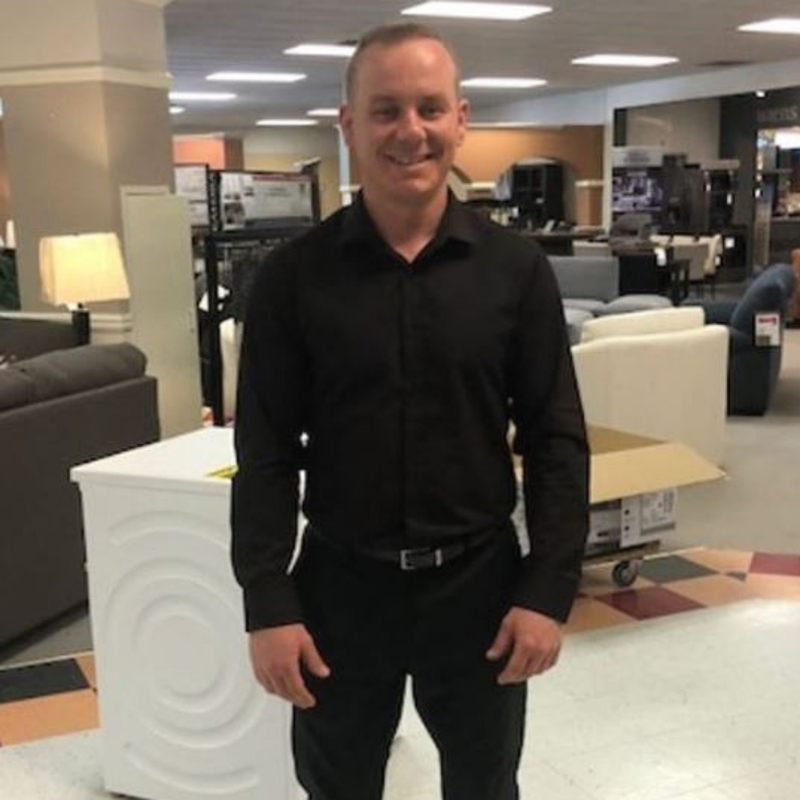 Nathan has been working at Wiens Furniture as a Sales Associate for six years; however, he has been working in sales for almost his whole working life. Nathan is somewhat of a self-proclaimed chef and loves to be in the kitchen cooking up a storm. If you're lucky, you may even catch him cooking up something special in our Monogram Kitchen. Lisa is our newest Sales Associate. Even though she's new to Wiens Furniture she came to us with ten years of sales experience in the industry. Lisa specializes in our furniture and mattress department and has a great eye for design. 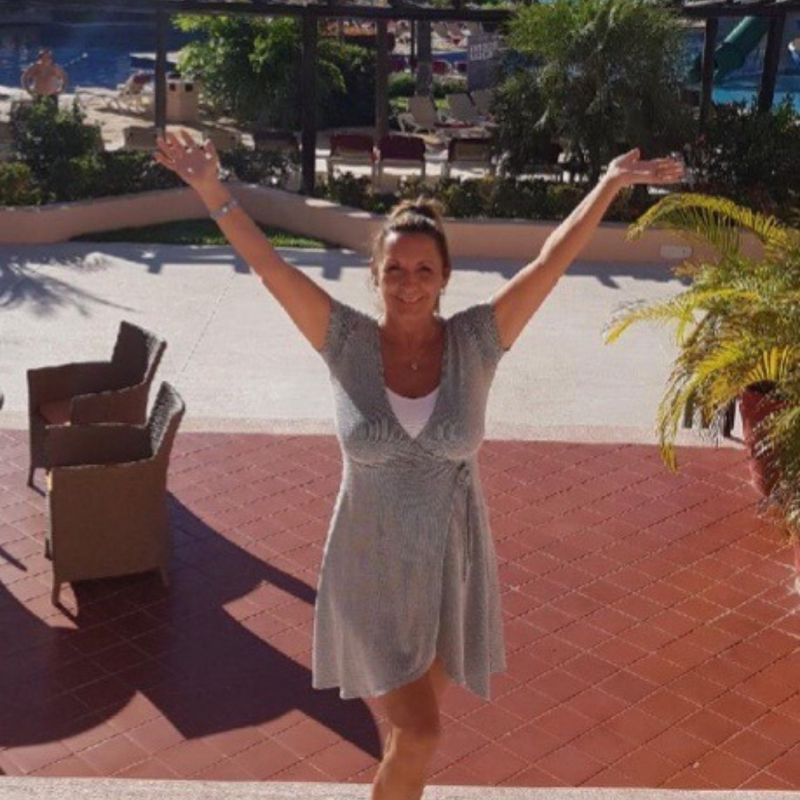 In her free time, you can usually find Lisa in the garden, playing with her grandchildren, and spending quality time with family. It all began with Jacob S. Wiens in 1939 when he opened a harness and shoe repair shop. Times were very tough; he and his wife Catherine struggled to grow the business those first years. They pumped gas seven days a week and served ice cream to draw more customers. Their persistence paid off. They sold their original business and opened the first hardware and appliance store in Niverville, called the Red & White Store. In 1964, Jake Wiens, son of Jacob and Catherine, bought the hardware and appliance business. He and his wife Rita worked tirelessly to build the customer base. They dropped the hardware and strategically turned their retail focus to furniture and appliances. Jake, the epitome of old-style entrepreneurship, knew how to creatively attract his rural as well as city clients. To the farming community, Jake was known to sell appliances off the back of his half-ton truck. He reached out to those in the city with a listing in the Winnipeg phonebook and installed a direct city phone line at both his house and his store. His philosophy was that if he could get them to call, he could get them to make the drive to rural Manitoba. During those years, the business grew and relocated, becoming ‘Wiens Furniture Village’. On April 13, 1990, the family business burned to the ground in an early morning fire. Wiens wasted no time in rebuilding and within the year, a beautiful new store emerged at the same Main Street location. In 1991, Jake retired and sold his thriving rural business to sons Al and Paul. Today, Al Wiens with his wife Ruby, carry on the family legacy. The ‘Village’ has been dropped from the business name while the logo and store exterior have undergone a complete makeover. Their oldest son Dylan works as the Manager and Appliance/Bedding Buyer while their younger son Brendan, a graphic designer, has lent his expertise to the rebranding of the newly expanded Wiens store. The ongoing family succession plan is seeing oldest son Dylan take the lead. The fourth generation Wiens, with Commerce degree in hand, has been active in the business for the past decade. In addition to providing a variety of volunteer opportunities for our membership within their communities, BrandSource gives financial support as a national organization. As an official donor, BrandSource, in association with some of its key suppliers, Electrolux Canada Corporation/Frigidaire Canada and Sealy Canada Inc. , provides Appliances, Mattresses and Electronics to each Ronald McDonald House across Canada, as well as cash donations. In addition, BrandSource also provides Appliances, Mattresses and Electronics to support the Ronald McDonald Family Room Program, a new and expanding program located in pediatric Hospitals. These items will fill a tremendous need - given how costly Appliances, Mattresses and Electronics can be and the number of families served by these houses annually. RMHCIn January 2016, BrandSource Canada launched a new initiative with its dealers across the country. The national campaign Thanks for the Helping Hand! Project will see BrandSource stores support their local House by making an annual donation and holding fundraising events throughout the year. The messaging is simple and to the point: At BrandSource Canada, we help families of seriously ill children feel at home in Ronald McDonald Houses and Family Rooms across the country. Ronald McDonald House Charities serves families from our communities, our regions. We believe that everyone deserves a comfortable environment and a home away from home. Together, we can make a difference! THANKS FOR THE HELPING HAND! Supporting our region…it’s the right thing to do! Their mission has not changed since the first Ronald McDonald House opened in Philadelphia on October 15, 1974. The program was extended into Canada in 1981 to provide "a home-away-from-home" for families of seriously ill children. These families travel great distances to hospitals so that their child can receive the medical attention they need. In-hospital treatment may last one day, a week, a month, a year or longer. For the families of these children accommodations can be hard to come by; options are often limited to costly hotels or unforgiving hospital chairs and benches. The Ronald McDonald House provides a comfortable, supportive environment as an alternative for these families. There are over 180 Ronald McDonald Houses in the United States and 14 Ronald McDonald Houses in Canada providing support to families in need year-round. In fact, each night, Ronald McDonald Houses provide more than 5,000 bedrooms for families of seriously ill children throughout the world. And they still have to turn needy families away for lack of space. Each Ronald McDonald House is independently owned and operated by not-for-profit organizations. They receive financial and in-kind support from Ronald McDonald House Charities and also rely on support from other donors in their communities to achieve their goals. Without the generosity of their donors, like BrandSource, none of this would be possible. Making your dream house dreams come true a little sooner is what the BrandSource Credit Card by Fairstone is all about! Better still, the on-line approval process is quick, easy and secure. For your protection, Fairstone is committed to keeping all the information on your application completely confidential; it will not be disclosed to any retailer or any other third party. Once approved, you can begin planning the room of your dreams at one of the more than 150 BrandSource retailers across Canada. Visit brandsource.ca to find the one nearest you! Of course, getting the best value and saving time are important to everyone. Whether you're looking to furnish an entire house, remodel a room, or you’re looking for that last finishing touch, the BrandSource Credit Card helps you achieve your home furnishings goals so much more easily. At BrandSource, we work to help you realize your unique vision for your home. Our staff is more than just design conscious, they’re dream conscious. They’re ready to listen to your individual needs and help you organize and obtain all of the pieces that make up your ideal home. You want your living space to be a reflection of you. If you don’t see the perfect piece on our floor, we’ll do everything we can to find something that fits you. Our specialized services don’t end in-store. From reservations to special orders, to white glove delivery and installation, we make even the furniture buying experience a dream come true. By combining the purchases of all our 4,500 member stores, we provide you with the best possible value through fair and competitive prices. And with our Price Guarantee+ and Owner Deal pricing, you’re sure to find in-store deals that help manage the costs of creating your perfect home. Please use our store locator at the top of this page to find the store closest to you and begin turning your inspiration into a reality. Get the perfect piece at the perfect price. For a limited time, receive special offers selected by BrandSource retailers. Tailor a piece to your taste. Personalize colours, covers, fabrics, leathers, woods, configurations and more on selected in store items. If you aren’t completely satisfied with your mattress or pillow after 90 days, rest easy, we’ll exchange them free of charge. How does Price Guarantee+ work? If, within 30 days after your purchase, you find the same article at a cheaper price elsewhere, we will refund 100% of the difference. What a deal! Bring in a physical, dated copy of a Canadian retailer that is advertising the identical product you purchased along with your original purchase receipt and present it to one of our retail sales associates or our customer service department. Once we have confirmed the competition’s details, we will refund you 100% of the difference. Competitor’s advertisement must be dated and effective within the 30 day window after your purchase date. Price Guarantee+ only applies to current model merchandise (refurbished, distressed or display merchandise is not eligible for Price Guarantee+). Price Guarantee+ Plus does not apply to additional services such as extended warranty or maintenance agreements, special credit or financing terms, installation or delivery and is applicable only on the purchase price of the merchandise. It is our policy is to offer our Price Guarantee+ only on the identical merchandise advertised for less by an authorized dealer in the same trading area, under the same terms and conditions. Merchandise must be the same name brand, same model and must be sold under the same finance terms including any administrative fees or delivery charges. Price Guarantee+ does not apply to misprints or advertising errors. Excludes competitor club, co-op or wholesale purchases, limited quantity offers, clearance, after-rebate or coupon discounted prices, auction website prices, discounts for 'cash' purchases and damaged, reconditioned, shop-worn, floor model or other items that are not new and first quality, internet only retailers or non-Canadian retailers. Price Guarantee+ for Mattresses is applicable on comparable competitive National Brands that are in stock and available at the advertised price. Price Guarantee+ cannot be combined with any other promotional offer.